Global Accessibility Awareness Day is designed to get everyone talking, thinking and learning about digital access and inclusion for people with different disabilities. Last year we reported on some terrific events held at publishing organizations and we hope to see similar this year. This event is Presented by the Book and Periodical Council, the Association of Canadian Publishers and the Literary Press Group of Canada in association with the Toronto International Festival of Authors. Book Summit 19 encourages reflection and prediction but above all challenges us to publish with intention. Of particular interest to our readers is the session entitled: Accessible ebook Publishing: The Business Case with speakers Laura Brady (House of Anansi) and Daniela Levy-Pinto (NNELS) exploringthe importance of developing and promoting ebooks that can be accessed and enjoyed by all audiences. For details on how to register (early bird pricing is available until May 2nd) visit the booksummit 19 website. Avneesh Singh, Chief Operating Officer (Strategy and Operations) at the DAISY Consortium, is standing for election to the W3C Advisory Board which “provides ongoing guidance on issues of strategy, management, legal matters, process, and conflict resolution” within the W3C. I will bring my knowledge of strategy, governance and experience of managing the DAISY Consortium to the development of structure and the governance model of W3C. Equally important is work towards diversity and inclusion. I am committed to work to ensuring that our worldwide consortium creates worldwide standards with worldwide participation that includes appropriate representation of people from developing countries and people with disabilities. Another important priority is the reinforcement of accessibility and the work towards ensuring that accessibility is embedded in all standards from their inception stage to final Recommendations. We wish him every success with the nomination and election process. For more details you can access Avneesh’s submission blog piece here. Avneesh welcomes any contact regarding this nomination. EDRLab has announced it’s program for June’s European Digital Publishing Summit with a heavy focus on accessibility. DAISY colleagues, Avneesh Singh and Romain Deltour will both be presenting at the 2 day conference alongside an impressive line up of international speakers. There will be a number of sessions concentrating on accessibility and demonstrations of the Ace by DAISY software and the SMART tool will be taking center stage. Individuals and organizations need to choose reading systems that offer the accessibility features they need. Requirements vary between individuals, and might include support for a screen reader, the ability to change the visual presentation of the contents, a read aloud feature, a feature to enlarge images and so on. An updated roundup of popular EPUB reading apps. has been prepared which is based on detailed accessibility evaluations conducted using a protocol developed by and with people with print disabilities. ebookcraft is fast becoming the number one conference for many who work in digital publishing—Laura Brady and the steering committee have, over the years, devised an inclusive, accessible, diverse and unmissable event that welcomes its delegates to Toronto with open arms. From the atmospheric and moving opening ceremony given by Whabagoon, an Ojibway Elder of Lac Seul First Nation, to the cheeky treats on offer (a.k.a. the donut wall) there was something for everyone and much more besides. This year saw an increase in focus surrounding accessibility. All of the sessions that I attended referred to inclusivity and accessibility in some way with 4 sessions dedicated entirely to the subject. No other conference does this. No other publishing event puts accessibility centre stage. Is this a sign of exciting things to come? Let’s hope so. Marisa DeMeglio and Romain Deltour, (DAISY Consortium), ran one of the opening workshops: Be an Ally at A11y, looking at the background to technical ebook accessibility and then focusing on the tools that DAISY has developed. Holding the attention of a packed room for 3 hours they deftly walked us through all aspects of accessibility giving resource pointers and demos for everyone to experience how they can include validation within their workflows and what they need to do to achieve this. Ace by DAISY, the free open source EPUB accessibility checker is their creation and news of an updated GUI version was welcomed by the crowd as well as details on SMART, which provides information on manual checks necessary to ensure conformance with EPUB and WCAG requirements. Together, Ace and SMART provide the most complete method for accessibility conformance testing of EPUB publications. Take a look at their slides for all the detail on this session, including useful resource recommendations (such as the DAISY knowledge base) and access to the demos. Convert your files to EPUB 3, the number one format for accessibility opportunities. Check out Laura’s slides for more detail on this and the rest of her presentation. Sabina Iseli-Otto (National Network for Equitable Library Service) and Shannon Culver (eBound Canada) presented a review of the work done by the NNELS Accessibility Summit in January in their session Who Does What to Make Great EPUB: How to Build an Airplane in Mid-Air. The outcomes of this summit are gathering momentum and there are a number of exciting working groups forming that all ebookcraft delegates were invited to take part in. They shared detailed feedback from the summit on how to develop and create accessible EPUB 3 files and what still needs to be done. The challenges are clear (image descriptions, tables , EPUB 2 still in use etc) and the group of people that they drew together in January are a stellar selection of top minds who are enthused and passionate about moving forward. 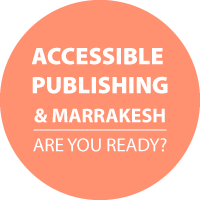 We want to encourage publishers to move towards born accessible publishing. Accessibility features are good for everyone. The slides from this session will give you more information on the achievements of this group. Kai Li, a visually impaired NNELS employee, talked to us all about his reading experiences in his presentation The Users Perspective: Accessibility Features in Action, affirming in our minds that user testing is going to become increasingly more important as we work on old and new files and formats. He impressed upon us that having people with disabilities in the workplace enhances and improves working practices, giving insights that might otherwise be overlooked. Fixed layout does not make your books last and it is bad for accessibility. In fact, as screen reader users, every word is displayed on a separate line! Kai and other colleagues were at ebookcraft to answer questions throughout the conference and we were very lucky to have their hands on knowledge made so available to us all. The conference ended with the extraordinary news that the Canadian Budget 2019 has announced huge funds to be put towards accessible publishing, confirming to us all that Canada is determined to embrace born accessible publishing. There are a number of excellent event reports emerging from this two day extravaganza and we recommend these for details on the other terrific sessions. 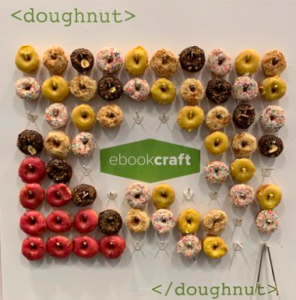 A heartfelt thanks to all who make ebookcraft what it is: the details, the welcome and the healthy attitude to conference planning—an impressive display of thoughtful and exacting organization. We are looking forward to next year already! VitalSource has announced details regarding their new initiative to encourage greater accessibility transparency in the digital marketplace. Publishers will be able to identify accessible content and highlight specific features to make selection a lot more straightforward for print disabled students. The full press release about this exciting venture is available at the VitalSource website. VitalSource is leading a very meaningful initiative, and we applaud the time and energy the company has invested in supporting transparency, inclusivity, and accessibility in the digital marketplace. This year’s Accessibility Action Group seminar was held on Thursday 14th of March at the end of the London Book Fair. This didn’t deter delegates in the slightest and the seminar was a huge success—The Faculty was packed and no-one was going anywhere until they were up to speed with what is happening with accessible publishing in the U.K.
Emma House, Deputy Chief Executive of The Publishers Association kicked off proceedings with an update on the legal state of affairs in the UK specifically with regards to the Marrakesh Treaty for Visually Impaired Persons and the new European legislation that has been welcomed by FEP in the last two weeks. Publishers have an obligation to make their content available to people with print disabilities. Consequently, it remains within their interest to make sure that their mainstream digital content is fit for this purpose. If workflows and supply chains are able to embrace this notion then the need for specialist formats will become obsolete and business practices will become more cost efficient and timely. With the opportunity to increase the size of markets, the business case is clear although different for the huge variety of publishing businesses out there. The seminar was designed to encourage publishers to build accessibility features and functions into their products from their very inception so that they are complying with the law and benefitting all readers with well built, well-structured EPUB files. Three case studies were presented from Kogan-Page, Macmillan Educations and Penguin Random House showcasing a real cross-section of the publishing industry, highlighting the opportunities and challenges that still present themselves and ultimately leaving our audience encouraged in the knowledge that accessible publishing is achievable and well within their grasp. Martin Klopstock and Arthur Thompson from Kogan-Page are truly committed to producing “born accessible” content that is suitable for all their readers, regardless of their disability. The availability of relevant standards and documentation are a huge motivating factor for them and, together with the Ace by DAISY, free EPUB accessibility checker they have found that validation is a straightforward component of their digital-first workflow at Kogan Page. They identified 4 areas of focus within their case study: structural semantics, accessibility metadata, image descriptions and tables with the latter 2 items still challenging them in-house. That said, Kogan Page are indeed producing born accessible digital content within their digital-first workflow and plan to look towards their legacy content in the future. For more information on their methods and lessons learnt you can access their full slide deck here. Astrid DeRidder from Macmillan Education took the stage next and began by discussing the ASPIRE project which was the first large scale interactive ranking of publisher and platform accessibility data. Macmillan scored well and Astrid urged delegates to take the opportunity of this easy win and improve their own accessibility information that is available within their organisation. Important to Macmillan is their forthcoming Employee Disability Network which will greatly influence how accessibility is viewed within the company and the quality of the digital content being output. Finally, Simon Mellins from Penguin Random House gave us the trade viewpoint, talking about accessibility on a large scale basis and highlighting the opportunities and challenges that EPUB presents for accessible publishing. With its natural aptitude for accessibility EPUB 3 is becoming more mainstream but, ironically, workflows in-house are fairly rigid and it is difficult to influence change on such a grand scale. The opportunity has been recognised, though, and whilst image descriptions remain the biggest challenge, there is much underway at PRH which we should watch out for in the future. Simon’s complete slide deck is available here. Sarah Hilderley, editor of the Inclusive Publishing website and newsletter, a DAISY Consortium initiative, rounded this event off by giving a brief overview of the state of play with regards to accessibility internationally. She referred to their recent survey on content creation and validation and was pleased to report that 62% of those surveyed are adhering to the EPUB 1.0 accessibility specification and that 54% are using, or plan to use in the near future, Ace by DAISY for their automated validation. 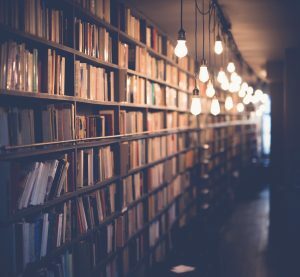 This is very encouraging—publishers are taking accessibility seriously and the tools and standards available to them are providing them with confidence and reassurance that goals are being met. This event report was prepared by Sarah Hilderley from Inclusive Publishing for the Publishers Association with whom it has been cross-posted.